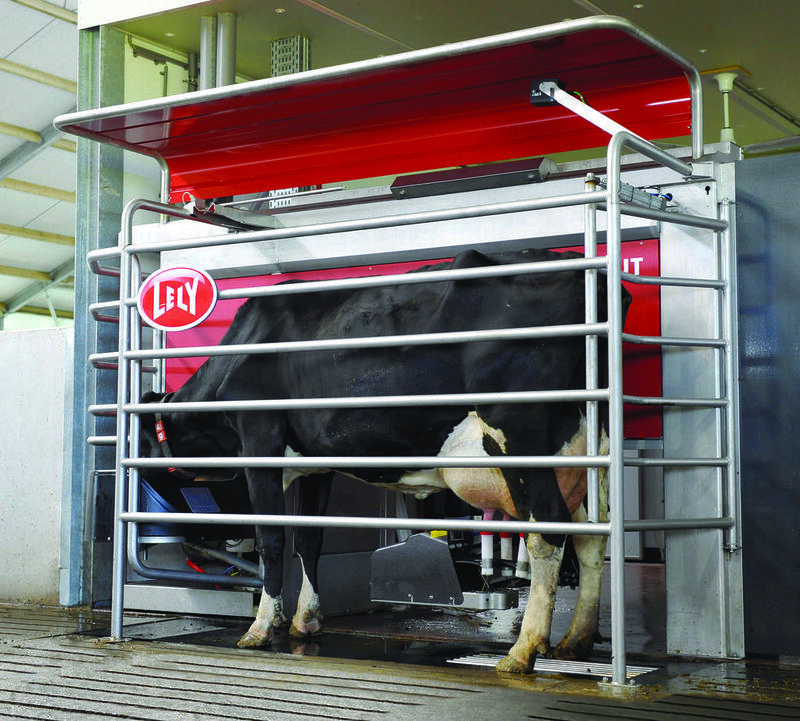 Matthew Costello, Genetic Product Manager for CRV USA, spoke at the Lely Farm Management Support conference last spring about genetics and robot operations, and shared some of his insight on genetics and the dairy industry. Throughout the 20th century, dairy genetic data collection and analysis has been centered on phenotypic responses and then connected to a sire proof. Pedigrees, milk testing and type-trait evaluations created sire proofs. Until the late 1990s to 2000, there had been minimal changes in the systems. However, within the last 10 years, the dairy industry has shifted to a “genetic based” breeding system. The amount of commercial monitoring systems available on the market has sky rocketed. The increase in automated milking systems as well as the ease of data collection and amount collected has significantly improved compared to the traditional data collection systems. For Costello and his family’s operation, their breeding and reproductive program changed quite a bit after installing milking robots on their farm in 2015. Costello said the future is unlimited for breeding and traits. The amount of data provided from a variety of sources (including automated milking systems) is tremendous and it often creates a data overload for farmers and for companies that are receiving and processing that data. “It is up to those companies to create the traits that robot producers and other producers will need,” he said. “I think we will continue to expand on some of the breeding values that are available for hoof health and fighting infectious diseases and also more traits specifically in the components of milk aside from the regular milkfat and protein." Automated milking systems provide a tremendous opportunity for family farm operations. And now, the robots work for the large dairies as well. “I think we’ll see farms work more closely with processors to create the milk they need for specific needs – such as butter or cheese versus those going to organic or fluid markets,” said Costello. Robots provide a tremendous amount of data to producers who can take the information and to look at how they can make to their operation more efficient. Matthew Costello grew up in eastern Iowa on a 70-cow registered Holstein farm and holds a degree in Dairy Science from Iowa State University. He has a passion to work with dairy producers to support their genetic programs, especially robot operations.